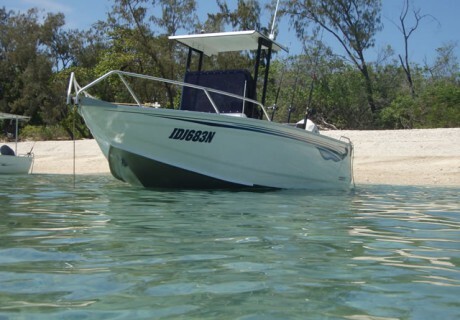 I recently purchased a Bar Crusher 610WR from Blakes Marine at Windsor in Sydney. Ken Kirkpatrick, the salesman from Blakes, was very obliging when it came to purchasing the boat. We were taken on Sydney Harbour, in both boats the 610C and the 610WR. This is the only way to make sure you have the right boat for the type of fishing you pursue. I took delivery late in August and headed to Cairns for the annual mackerel fishing trip. The boat towed very well on the single-axle Bar Crusher trailer. (VERY MANOUVERABLE IN THE BACKYARD TOO). We caught Spanish mackerel up to 25kg and had a great time in the new boat, which was fitted with a very fuel-efficient 115hp Evinrude E-TEC outboard. This package is very user friendly when it comes to loading and unloading off the trailer in good and bad weather, a fact that I was not aware of before the purchase.